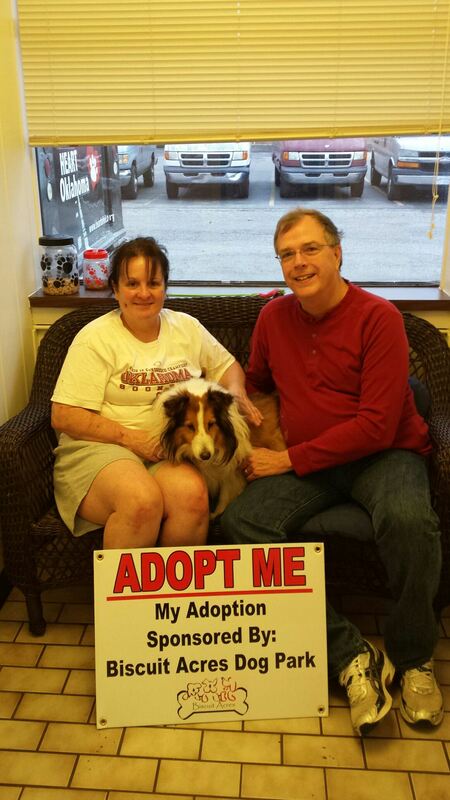 Adoption and Vet fees were prepaid by the Biscuit Acres Volunteers Association (BAVA). “Duke” is an adorable Sheltie that was up for adoption at the Tulsa Humane Society on Saturday, April 9, and within hours he found his new forever home. Our plans are to continue sponsoring many dogs in need of adoption in the future.